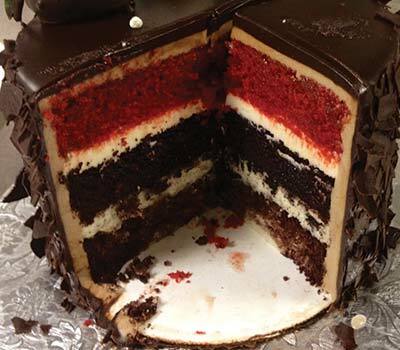 If there is a cake flavor or filling flavor you do not see, please inquire as we would be more than happy to do our best to fulfill your request. Fresh Fruit will be charged at Market Price. A thin layer of Chocolate ganache, strawberry or raspberry marmalade may be added without an additional charge. The upgrade charges are per person/serving per layer for wedding cakes. Specialty cakes will be priced accordingly.